How Do You Feel About Spying on Employees? It turns out that IKEA is A-okay with it and has been for 10 years now. That’s right, in the last 10 years, the New Times reports that Swedish furniture company IKEA has spent $654,170 on hiring private investigators to follow around their employees in France. While we hold our privacy dear here in the United States, it turns out that most European countries, including France, have far more strict privacy laws than we do. In other words, it would actually be easier for U.S. employers to pull a stunt like this. 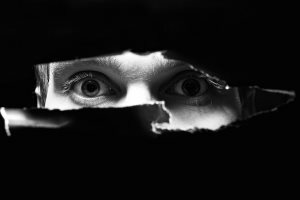 I think we can all agree that spying on employees is not only wrong, it’s a bit psycho. Employers are however left with the nearly impossible issue of fighting fraud. It’s no secret that there are those employees who will take advantage of things like the Family Medical Leave Act (FMLA). Although unpaid workers reporting fake injuries are costing companies big dollars, some even fake family members’ illnesses and receive intermittent FMLA. There is also the matter of false workers’ compensation claims. The Worker’s Compensation Fund (WCF) actually does a lot of work to fight claim fraud, but they can only do so much (when not equipped with binoculars and a telephoto lens). Should companies find ways like spying to combat these problems, or is that just part of being an employer? Taking the hit from unethical workers. There have been quite a few cases, even in the United States, in which catching fraud with spy tactics has saved companies a whole lot of money. Obviously, the great majority of us are not out to drain our employers and collect checks while we sit on the couch with a neck brace on. That doesn’t mean that those who would aren’t out there. The information about IKEA’s “Big Brother” ways leaked during a court case where a former employee filed charges against IKEA when she was fired. Former IKEA employee, Virginie Paulin lost her job at IKEA after a private investigator reported back to the company that Paulin did not appear to be as sick as she claimed, and her one-year medical absence looked like a fraudulent claim. The private investigator was able to obtain just about all of Paulin’s personal information including her social security card, a picture of her passport, cell phone number and bank account numbers. This sounds appalling until we find out that Paulin took a trip to Morocco during her one-year medical leave. Or maybe it still sounds appalling, who knows? The public reaction seems to be very torn. In Paulin’s case, the company had reasonable suspicion to carry out their investigation, but what about the hundreds of other employees who were spied on? Are suspicions enough to start an investigation? If so, what are the parameters for said suspicion? As policy makers decide where to draw the line, we want to hear from you. Do you believe that there is any justification to spy on employees? There is also the matter of time on the clock, personal time, medical leave and worker compensation. As technology becomes more sophisticated, privacy lines and rights become more blurred. Without measures like those taken by IKEA, companies are left with very few options to catch fraud. On the other hand, privacy and personal rights are the pillar of strong societies like France and America. What do you think?